Welcome to WordModules.com. Download thousands of free theWord modules!. Feel free to ask questions about our theWord resources using the message boards. You must have theWord installed to view theWord modules. View the 500 most downloaded theWord Modules. Can't decide what to download? View the 500 most frequently downloaded theWord Modules. What do I like about this app? It reads theWord's native modules. No format shifting or other nonsense which makes my job a LOT easier. Another great thing: it supports two windows simultaneously. 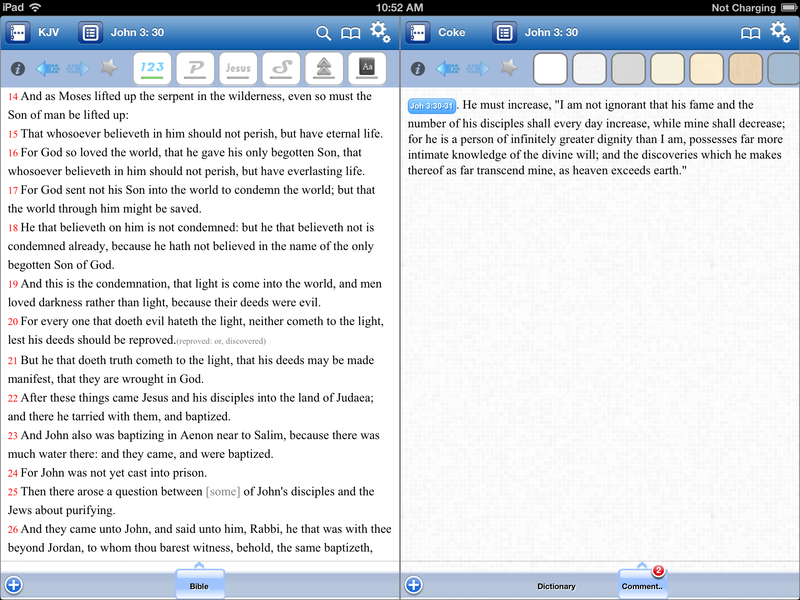 Read the Bible with each verse on a new line (e-Sword style) or by paragraph! Very nice! There's a time and a place for each but I love the paragraph style. Show verse numbers in Bible paragraph or line by line mode--or not at all. Cross References from the Bible view. I've noticed the app will not read compressed modules. There is no theWord Book reader--just Dictionaries, Commentaries, and Bibles. The default Bible is KJV with Strongs. Another default should be just the KJV. Why? Tooltip popups show the KJV with Strong text and there's no way to show just the KJV text in a tooltip unless you have the KJV installed (without Strongs). Small issue, easily fixed by downloading the KJV without strongs. No way to change the font rendering--it uses a Times New Roman style font. I would personally prefer a less ornate font, like Tahoma or similar. The Bible search works great, but no way to search other module formats. I like clean designs on the iPad. I'm not a fan of colored toolbars. That can't be changed. Also, when you install it, you have to "de-clutter" the look of the app slightly. Click the settings icon and remove the KJV Strongs designations and the new verse [Aa] designations (the latter really gets in the way). Some of the files with images at this site have not worked correctly. They should now work with theWord 4.0.
theWord 4 is a major new release that contains more than 70 new features and more than 110 fixes. - Bible Reading Plans: enjoy from a set of predefined and extensible list of Bible Reading plans, or create your own Bible Reading plan according to your own needs. theWord offers the most versatile setup options that allow you to tailor your plan to your personal style and pace like no other application. 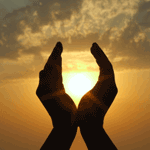 - Organization of your Daily Readings: a single place to organize and follow your daily readings! Follow one or more reading plans, meditate on one or more devotionals each day, and keep track of all your readings in a single place. theWord will remind you every day (or whenever you want) of your plan and help you catch-up with your planned readings. It has never been easier to monitor your reading progress. drop modules in the integrated installer to easily add new modules to your installation and enjoy from more available content. theWord will now associate all known module extensions thus allowing you to install modules just by double-clicking on them. - Use theWord as your personal ministry tool: the new version of theWord allows to customize it and package it for your own personal needs! Create packages to share with a class, make your own distribution and provide your own unique content and welcome screen to your target audience. - [new]: 'Define modules sets' dialog: added 'Sort' right-click menu to 'Create Custom Set' tree. Allows alphabetical sorting of selected modules. - [new]: when modules are grouped in folders in the Book view, hovering the mouse over the active groups displays in a hint the info of the current selected module. - [new]: double clicking on the topics tree in the book view when a commentary is displayed, will cause the active Bible view to sync on the current commentary verse. - [new]: 'Detect all vrefs' action from 'Module Properties' dialog: if ALT is pressed, then existing VREFs get re-detected. - [new]: improved verse reference parsing in the 'Define custom range' dialog of the Bible search view, so one can copy in one step all the verse references from a verse list into this dialog and create a custom search range. - [new]: 'Copy Verses' dialog: add new option in 'Advanced options' drop-down: 'No verse reference (Step 4) for single verses'. - [new]: 'Define Module Sets' dialog enhancements: the 'Available modules' list is enhanced with multiple sortable columns. Also a column that displays in how many sets a module is already part in. A hint displays the actual sets. - [new]: Bible view options: new option to select between thick and normal underline. - .twzip (the word archive) is also registered. The .twzip files are standard zip compressed files that contain one or more modules for installation. The compression can be any of the known compression formats (e.g. zip, rar, 7z, etc.). - if the module is already in use, theWord displays it (like MS Word does with .doc files). If theWord is running, the running instance is used (e.g. no new instance is created). - [new]: File->Preferences->File associations tab allows manual setting of the associations. - [new]: added tag support in the Bible module. Please, read Bible module spec doc for details. - [new]: Added calendar support for devotionals. Spurgeon's Morning and Evening devotional updated for now, just for testing purposes. - [new]: config option suppress.search.results.underline=1 now suppresses the red underline in book search results also. - [fix]: 'Bookmark...' menu in Book view context menu was untranslated in some cases. - [fix]: Virtual Keyboard in Bible search view would not work with Hebrew vowels. Characters appear larger now. - [fix]: text-only popups in Bible modules (tw://*.*?txt=...) would not display without at least one more popup element (e.g. Strong, morph, dictionary, etc.). - [fix]: Indexes of Bible modules were rebuilt when time changed (DST) - twice a year. This fix will cause indexes to be recreated. - [fix]: bug with popups flickering if the topic being displayed in the popup is very large. Also some flickering of popups for large topics are now fixed. - [fix]: popup menus/windows sometimes appeared on the wrong monitor in a dual-monitor setup. - [fix]: Module properties dialog (for Books): when un-checking the 'User module' option, which caused the dialog to be closed and re-opened, the About, Description and English title properties were not saved. - [fix]: minor change in wording in Bible search view results: replaced 'matches' with 'verses' to avoid confusion. - [fix]: in Bible modules with Strong's numbers, in words with multiple Strong's numbers assigned, when Strong's numbers where hidden, when one right-clicked on a word and chose from the popup menu to search a Strong's number, then the last Strong's number was always being searched no matter which menu entry was selected. - [fix]: Bible view: if xrefs link colors was the same as footnotes colors and footnotes were not displayed as links (e.g. inline), then xrefs links didn't work. - [fix]: Bible search view: Define ranges dialog needs 2 clicks to show some times. - [fix]: Bible search view: Define ranges dialog: added CTRL+A shortcut to select all text. - [fix]: relative links to files from within modules were broken. - [fix]: Verse Reference input box (F4) selects all text when clicked with mouse. - [fix]: using the Bible menu of the Verse Reference box would not put the focus at the Bible view if the corresponding option (Advanced option) was selected. - [fix]: Printing selection only would print an extra blank page at the beginning. - [fix]: overlaid cross-references now appear sorted, in order from Gen to Rev. - [fix]: search failed with 'ignore case and diacritics' for 'CYRILLIC SMALL LETTER YA' in ANSII Bible modules (invalid ANSII lowercase mapping for this letter). - [fix]: Changing font size in Book view topics (module level font size property) would not calculate the height of items in the book topics until theWord restarted. - [fix]: custom font sizes in book topics (Book view) causes 'confusion' (wrong font sizes) if more than 1 Book view is open. - [fix]: 'Ignore case and diacritics' option in Bible search for regular expression in ANSII modules would not work properly. - [fix]: U+2011 char (Non-Breaking Hyphen) was not recognized while detecting verse references as a range operator. - [fix]: adding a chapter level comment on a commentary that appeared as Inline commentary or Commentary link in a Bible view, caused the book view to jump to the verse level comment upon save. This community will support theWord, similar to my work with other, free Bible software. The two websites will remain completely separate. This is a brand new site, so bear with us. We're just getting warmed up! Since we're already in the "free publishing business", so to speak, why not also publish modules for theWord, taking advantage of theWord's unique data, features, and functionality? Since theWord already has official forums, I expect our forums will mostly be used to ask about modules we host or module requests. For those familiar with my other website, understand this venture is different. theWord targets mostly Evangelical Christians. This, too, is my target audience and our theological focus will reflect this reality. We allow third parties (like you) to share theWord modules with others. You can also see who downloaded your upload. We do not and will not rely on free web hosting. Free hosting websites have lost their primary source of revenue and their business model's future is uncertain. Our goal is to build a long term, secure module library for theWord. We will focus on publishable quality modules--not quantity. User uploaded, and bulk uploaded modules may not conform to the publishable quality standard. However, modules we publish will be "publishable quality"--for example, our modules will not be a copy/paste of archive.org with OCR errors, page headers, and unreadable Greek/Hebrew text. Verses will be properly recognized by theWord. Books and Commentaries will properly use theWord's hierarchical data structure. Our modules will properly rely on theWord's default font's. In other words, we will strive to meet theWord's publishing standards for your enjoyment. This website has the blessing of theWord's author and will save him much needed time. 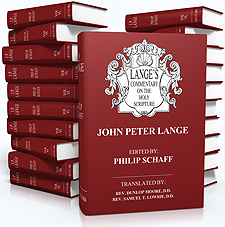 Previously, we gave theWord the source material for modules like Biblical Illustrator and Jonathan Trapp's commentary. The downside to this was theWord's author had to take time to properly format the modules for theWord. Our goal is to host those types of theWord modules here!